Wind Damage? Roof Leaks? Missing a few shingles? If you have lost some shingles in the recent winds, we can replace what you have lost and keep your roof from losing more. Postponing repairs will allow the ongoing winds to blow off more shingles, increasing the cost of repair. Shingles are color matched. Call or click Today For your FREE Inspection/Estimate! We are roof REPAIR specialists. We won’t try to sell you a new roof. We repair all types of roof leaks and damage including skylights and other penetrations, missing shingles, wind damage, separating seams etc. We repair low slope/flat roofs and leaks in parapet walls. We repair/replace/re-dome damaged skylights. We repair leaking chimneys and replace chimney caps. 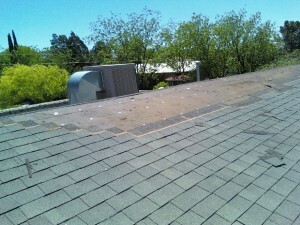 We also perform maintenance and preventive maintenance on roofs whether they are leaking yet or not. We install solar reflective roof coatings. These coatings save you money by decreasing the load on your air conditioning equipment. Your roof will last longer because it will be protected from ultra violet rays. We also repair water damage to sheetrock etc. inside your home. Inspections and estimates are free. If you do need repairs we accept Visa, Mastercard, Discover and checks. Call or click Today! My roof is leaking. Is it necessary to reroof? Most leaking roofs can be repaired, have necessary maintenance performed and have their service life extended by several years. Our free inspection will tell you exactly what the overall condition of your roof is and what your repair/maintenance options are. If your roof can be repaired we will give you an estimate for the work as part of the free inspection. Most roofs fall into this category. Roof Maintenance: Like everything else in your house, the roof needs occasional maintenance too. By the time a roof is 3-5 years old it will probably need some minor maintenance. The sealant on roof penetrations such as skylights, roof vents and plumbing vents may crack and begin to leak. A leaking skylight is almost always noticed right away. Other leaking penetrations are harder to detect and may be leaking into the attic or into a wall. 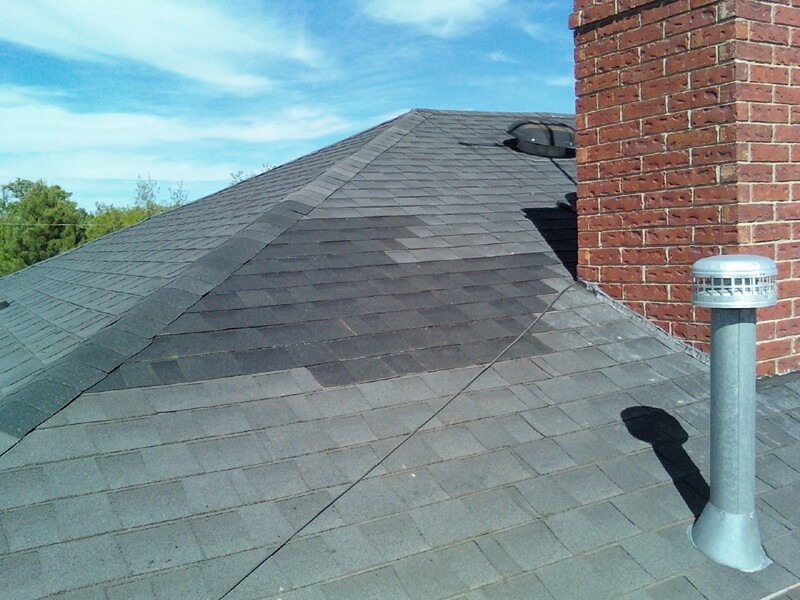 Regular roof inspections and maintenance are important as soon as a roof is 3 years old. Don’t wait for leaks to be noticed before you have routine maintenance performed on your roof. Performing maintenance before you notice leaks will cost a lot less than waiting until your roof has already leaked into the interior of your home. Call or click today for your free Las Cruces NM roof inspection. 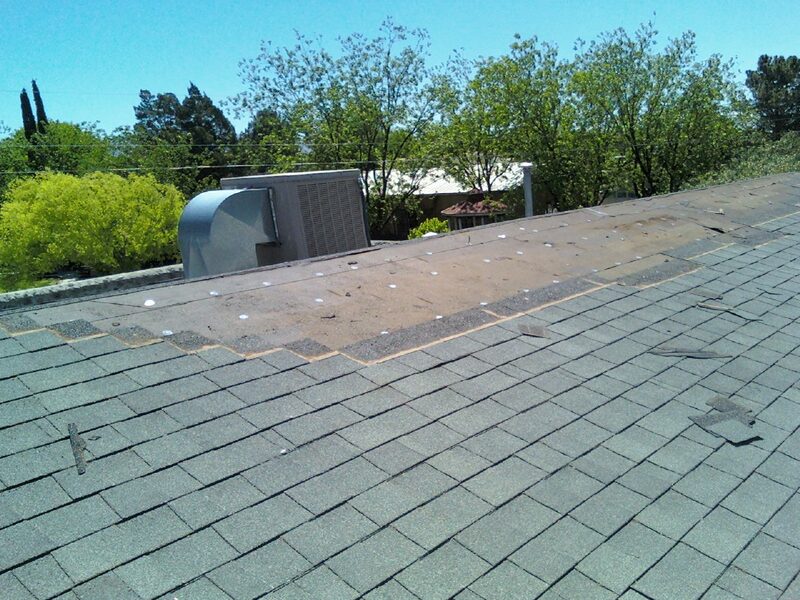 Roof Repair in Las Cruces NM: Sooner costs a lot less than later! It may seem easier to wait until it is convenient or your budget allows you to have roof repairs done, but you will pay far more for the delay. Roof leaks, no matter how small develop into complications that lead to very costly repairs. The interior structure of your home is not waterproof, and when exposed to moisture it simply deteriorates and becomes unstable. Wood framing members degrade and decay rapidly. Metal fasteners used to hold materials in place rust, weaken and fail. As the leak progresses drywall and interior components of the home are damaged. When you see a sunken roof line, curled up shingles, cracked foundation materials, rotting window frames, mildew in a carpet or a falling ceiling, chances are the roof leak has been active for quite a while a while. By the time a leak shows up inside the home, damage has probably already been done to components of the home you can’t see. The cost to repair a small leak is minimal compared to repairing damage caused by an ongoing leak. Our free roof inspection can save you big money by catching problems while they are still small. If we don’t find any problems in your roof you will have peace of mind knowing you don’t have any leaks. Some roof leaks can actually be coming from a leaking chimney. Several conditions can cause this. One of the most common is a grout cap on a masonry veneer chimney. We replace the grout cap with galvanized steel, as should have been done in the first place. Another common source of chimney leaks is improperly installed or degraded flashing. We inspect chimneys as part of our free roof inspections. The roof is not the only place that can allow water to enter your home. We often get calls about roof leaks and find that the roof is in perfect condition. The culprit is often associated with the parapet walls on a home with a low slope or flat roof. With weathering and heat up/cool down cycles, the stucco cracks and eventually pieces of the stucco fall out. When this first happens the wall may continue to be weatherproof for a short time because of the moisture barrier under the stucco. If left un-repaired, sunlight with its powerful UV rays will rapidly degrade the moisture barrier. When this happens the parapet will begin to allow water to enter and run under the roofing and into the lower wall. Parapet leaks can show up in the ceiling adjacent to and below the leak or in the lower wall below the leak. Inspection of parapet walls is included in our FREE roof inspections. We also repair/seal parapet walls. All roofing materials are not created equal. While most commonly available composition roof shingles are of high quality, the other components and materials used in roofing construction and repair can vary widely in quality. For example, plastic roof cement, which is often used for repairs can cost anywhere from about $18.00 per 5 gallon pail to over $50.00 per 5 gallon pail. Like most things in life, you get what you pay for. 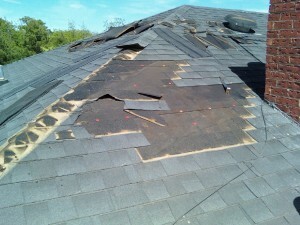 Many roofers will use the cheapest materials available for repairs. We use only the finest materials available. Even though we use the finest roofing materials available, our repairs usually cost less than repairs done by conventional roofing contractors. This is largely due to the fact that we specialize in roofing repairs. 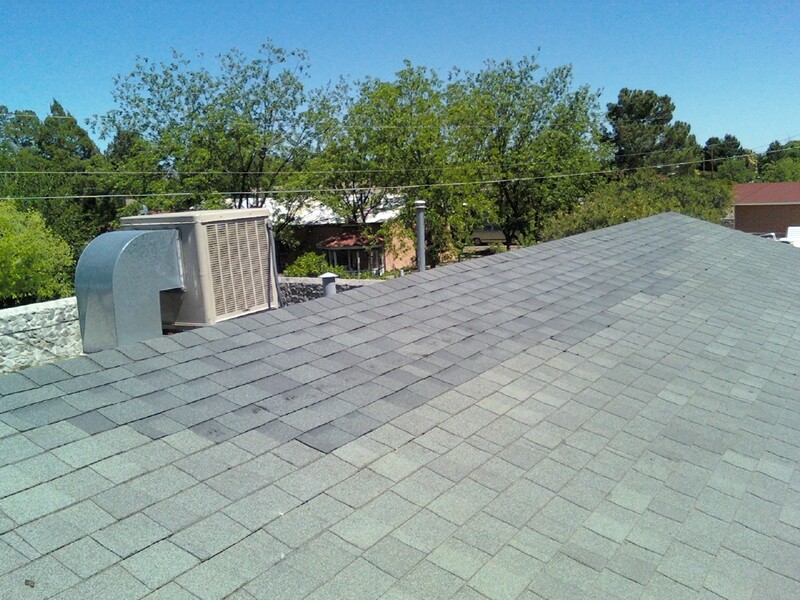 We can simply perform repairs more efficiently than other Las Cruces NM roofing contractors. 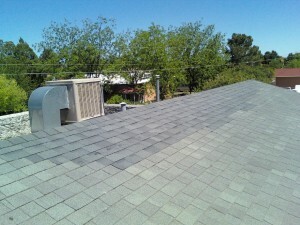 We are experienced Las Cruces New Mexico Roofing Contractors. Because we specialize in roofing repair in Las Cruces New Mexico we can repair your roof quickly and efficiently, at a lower cost than most Las Cruces NM roofing contractors. We guarantee our work.